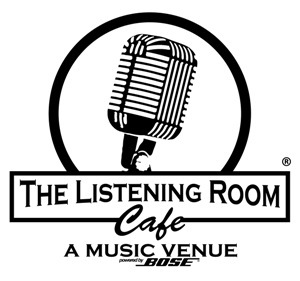 The Listening Room Cafe (TLR), will celebrate its final night in its current SoBro location Friday, Sept. 1. The club and full-service restaurant will to move a few blocks south to the former International Harvester building at 618 Fourth Avenue South. There will be a soft opening at the new Fourth Ave. S. location in September and The Listening Room will officially mark their grand opening Saturday, Oct. 14, with special guests that will be announced soon. In addition to dinner six nights a week and Saturday brunch, the new location will offer lunch and a special late-night menu. They will also continue to offer complete on-site and off-site catering. The new location will nearly double the venue’s size and will feature a separate 150-seat dining room, a balcony overlooking the listening room and an outdoor patio. Patrons have enjoyed nearly 7,000 songwriter-in-the-rounds and concerts since TLR opened its doors in Nashville’s SoBro area in 2006. TLR owner, Chris Blair has planned a big party to celebrate the final night on Second Avenue. At the Sept. 1 event many of the songwriters and artists who’ve performed over the years will be dropping by for a song or two. There will be a limited dining menu with specials and Blair jokes that he hopes the bar is cleared out of its inventory so that there will be less to pack up and move. Unlike all of their seated events, this final celebration will include a combination of seats and standing room. For tickets to the Sept. 1 event, visit listeningroomcafe.com.